Hidden within a redwood-filled canyon, Butano State Park is easily one of the most quiet and remote state parks on the peninsula. There is also a 14-mile loop. Overnight to a weekend. The 4 mile hike in takes about an hour. Campgrounds are closed from December 1st to April 1st, while the backcountry trail camps are closed November 1st - May 1st. Look for newts in February and Calypso orchids in March. A state park day pass or annual pass is required. Hidden within a redwood-filled canyon, Butano State Park is easily one of the most quiet and remote state parks on the peninsula. On your visit, you can experience miles of woodland hiking trails, a peaceful camping atmosphere, and the park’s bountiful summer nature program complete with educational nature walks and campfire nights. Butano State Park was created 1957 in an effort to preserve California’s coastal redwoods. Several hiking trails meander through the 4,628 acres of canyonland and offer plenty of opportunities to spot woodpeckers, slow-moving newts and banana slugs, and purple Calypso orchids. 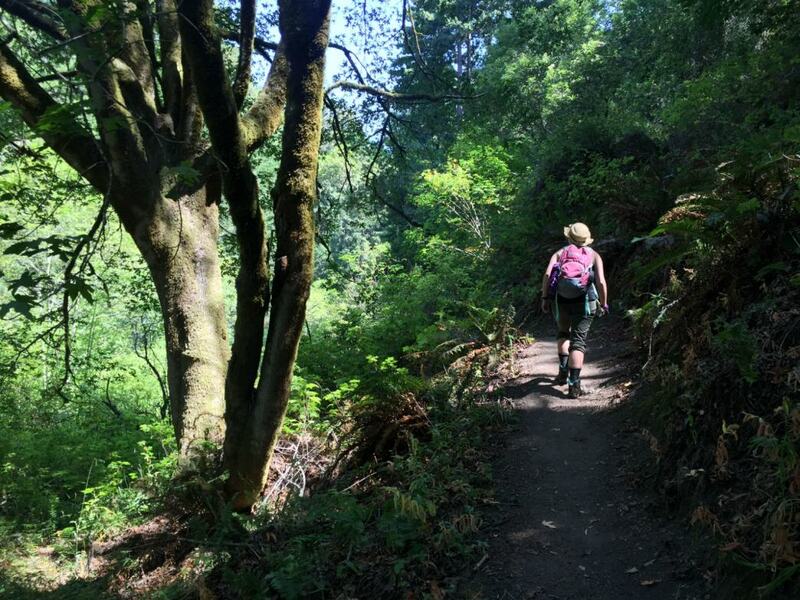 Mix and match different sections of trail to create your own adventure whether it be a mellow day hike with the family or a half-marathon trail run through the shaded forests and exposed ridgelines lines. Sections of the Jackson Flats Trail lead you through a lovely redwood grove, the Año Nuevo Trail to the Olmo Fire Road provide views of the Pacific coastline on a clear day, and a huge 14-mile loop (linking Jackson Flats Trail, Butano Creek Trail Loop, Butano Fire Road, Ray Linder Memorial Trail, Olmo Fire Road, Doe Ridge Trail, Goat Hill Trail, Olmo Fire Road, Ano Nuevo Trail) takes you through all the park’s ecosystems: Redwood/Douglas fir forest, coastal grassland, alder woodland, oak woodland, vernal wetland, and chaparral. Also, hidden within the park is a huge, magical candelabra redwood tree; it has a 20-foot circumference with five individual trunks that split off from its base! It’s location is not marked on the map, but it is a moderate 4-mile out and back hike; take the Año Nuevo Trail, then turn right onto the Candelabra Trail, follow it until a side trail turns right and walk about 30 feet or so to hit a clearing with the tree (it is about a mile away from the intersection with the Gazos Creek Road). 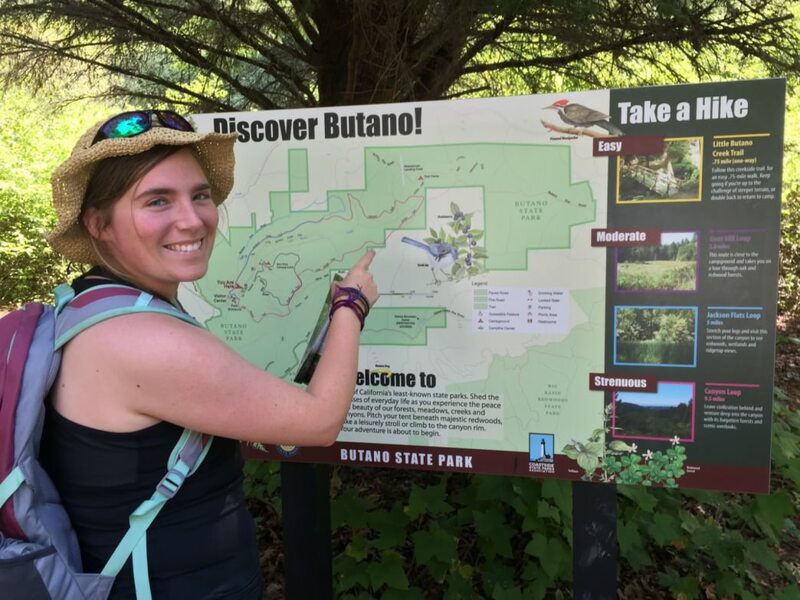 Everyone will find an adventure in Butano State Park. Easy drive-in sites and flat, beautiful redwood trails lined with lush ferns make this an easy getaway for families with small children. 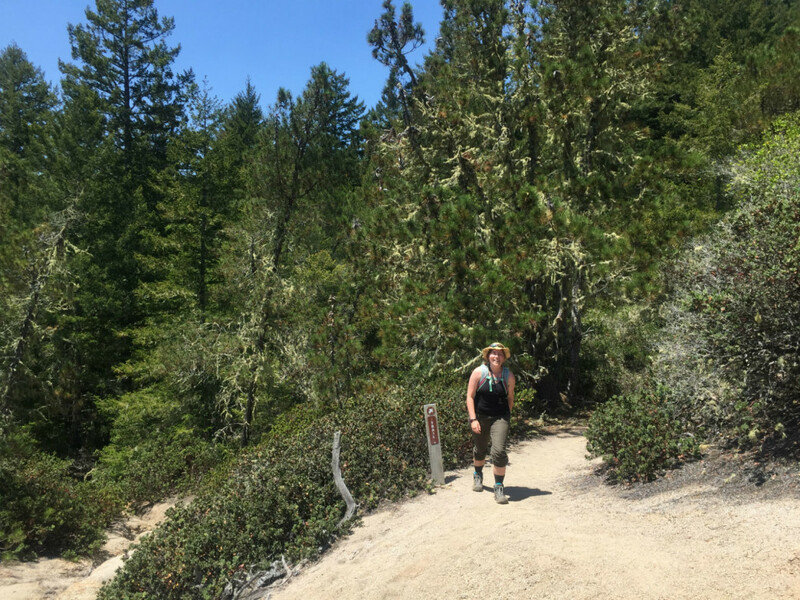 Trail runners and avid hikers can connect the various trails to cover several miles of ground, ascending the canyon’s ridges and traversing its woodlands along the way. Backpackers will feel solace as they travel to the secluded Trail Camp site about 6 miles into the park’s wilderness. Without a doubt, the natural history of the canyon, the six varieties of natural landscape, and the local flora and fauna are worth a visit. Take CA-1 south for about 43 miles, then exit east onto Pecadero Road. Take it for about 2.5 miles then turn right onto Cloverdale Road. In about 4.5 miles, turn left to see the kiosk and enter the park. Collection or damage of park features is prohibited by law and dogs must be kept on leash in designated areas. The park contains 21 drive-in campsites and 18 walk-in campsites, restrooms with running water, and drinking water (available in the campground and day-use areas). There are no running showers.